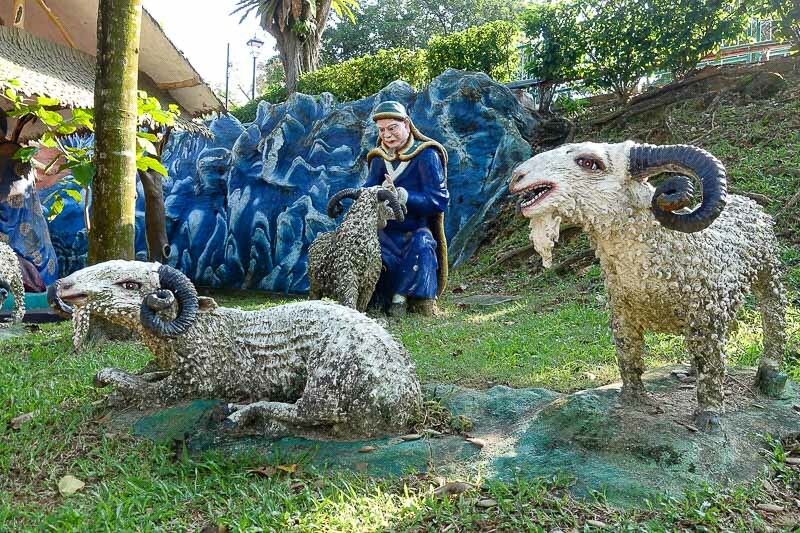 In all my previous visits I had never heard of Haw Par Villa Singapore. 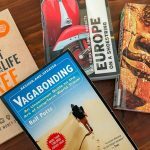 It had not come up in any of those “Top 10 things to do in Singapore” lists, nor in any recommendations I had been given. I came across it only a few months ago, and so decided I had to go. 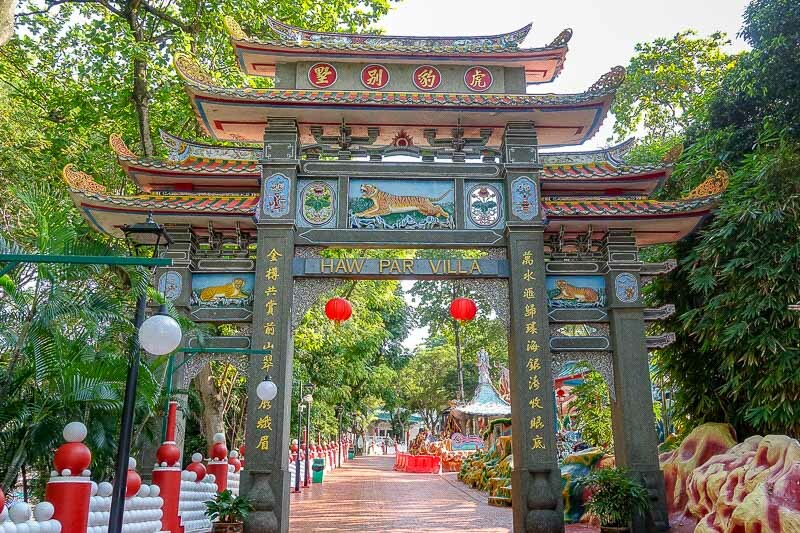 We arrived at Haw Par Villa at just before 9am, and had to wait a few minutes until the gates opened. No crowds here, we were the only ones waiting. In fact, during our visit we saw only a handful of other people. For me this was fantastic, I am not a fan of large crowds. The park was mostly empty, which was actually nice. 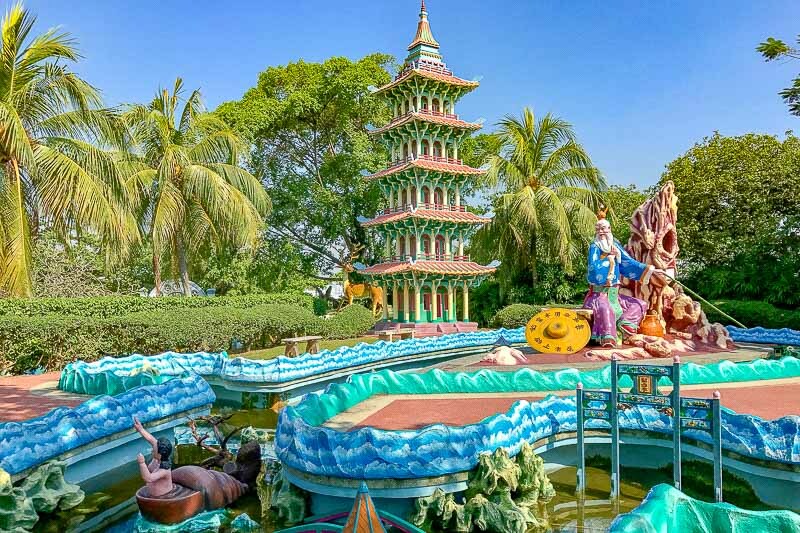 Haw Par Villa is described as a theme park, but you won’t find any roller coasters, overpriced food or souvenir shops here. 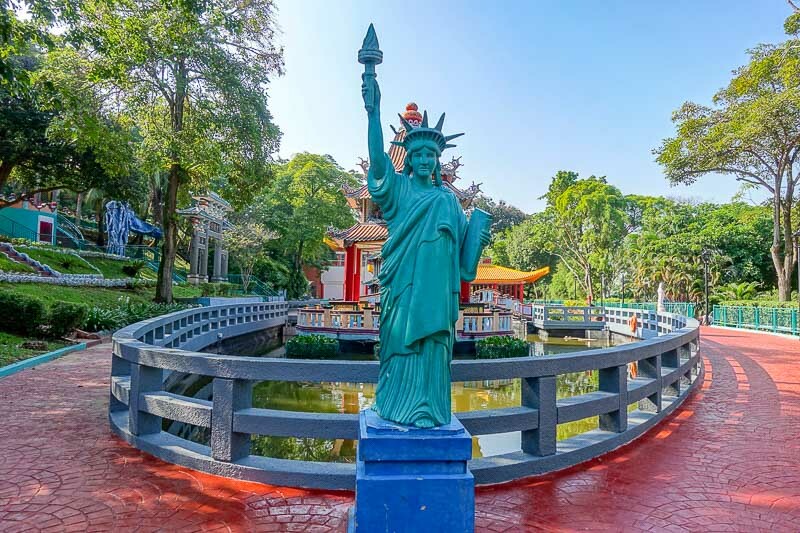 It was built back in 1937 as a private garden by brothers Aw Boon Haw and Aw Boon Par, better known as the inventors and sellers of Tiger Balm. 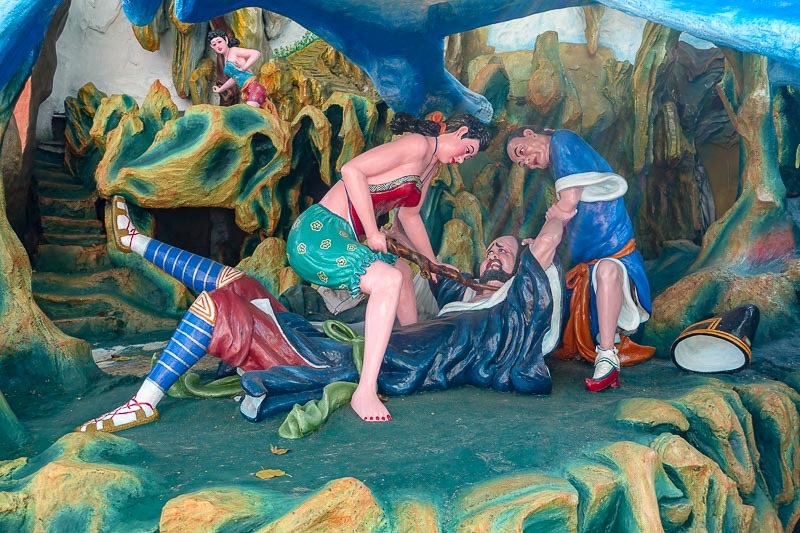 As such, sometimes sometimes in Singapore Haw Par Villa is called the Tiger Balm Gardens. 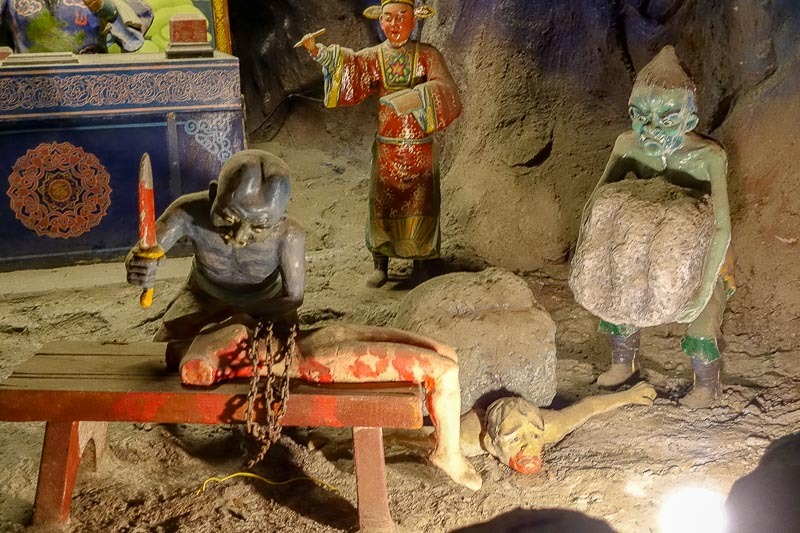 It consists of over 1000 statues and 150 dioramas and displays dedicated to Chinese mythology and morality. 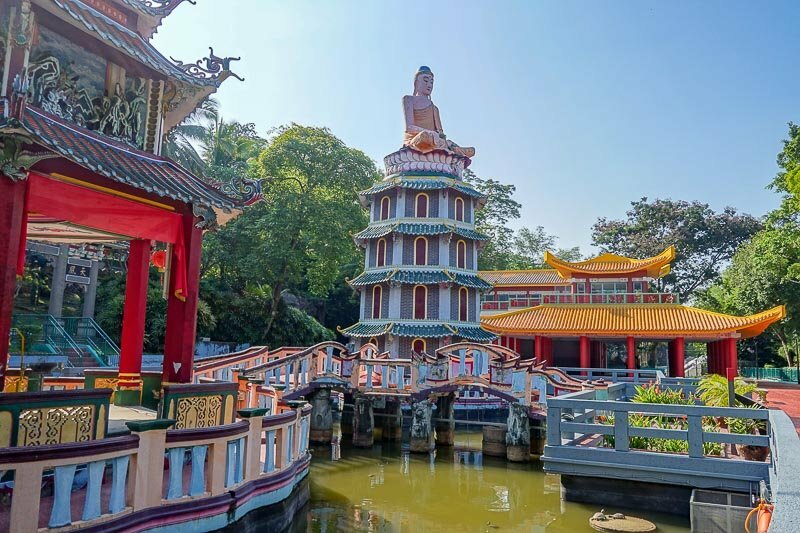 Many older Singaporeans who were brought up in the mid-twentieth century would recall coming here as kids and being shown the exhibits to each them the morals of the time. 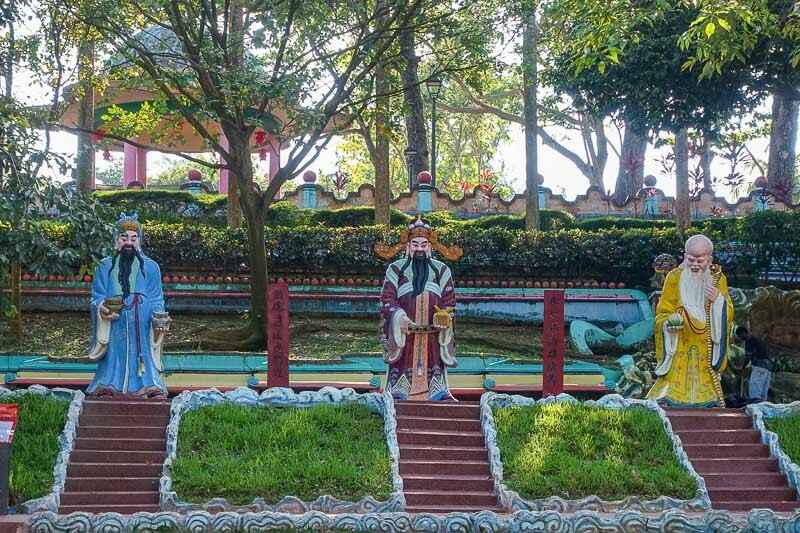 While the tales are mostly based around Buddhist folklore, there are touches of Confusianism and Taoism too. 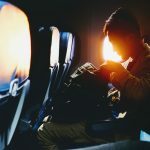 I guess we could liken these to the stories we heard of Pinnochio, but instead of our nose growing longer if we told lies, the consequences could be much more severe – and the stories much more gory. 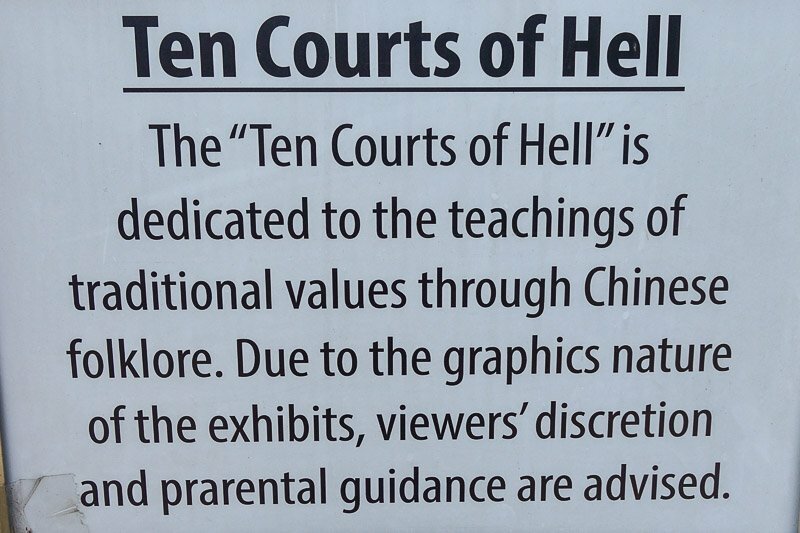 One renowned area is called the Ten Courts of Hell, and its gory displays depict the process undertaken between dying and reincarnation. 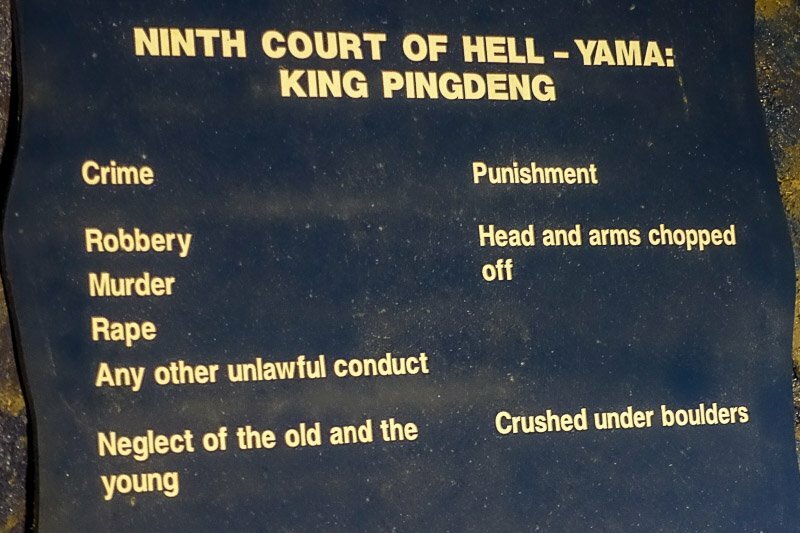 After death you are judged by each court in turn, and punished if required. If you don’t get judged “good” by each court, there are some pretty gory things that could happen before you can move on to your next life. 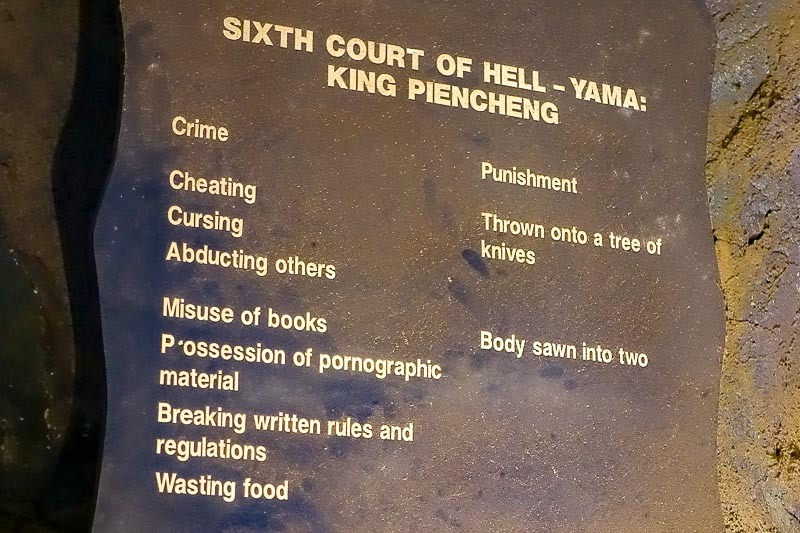 Some of the crimes and their punishments. 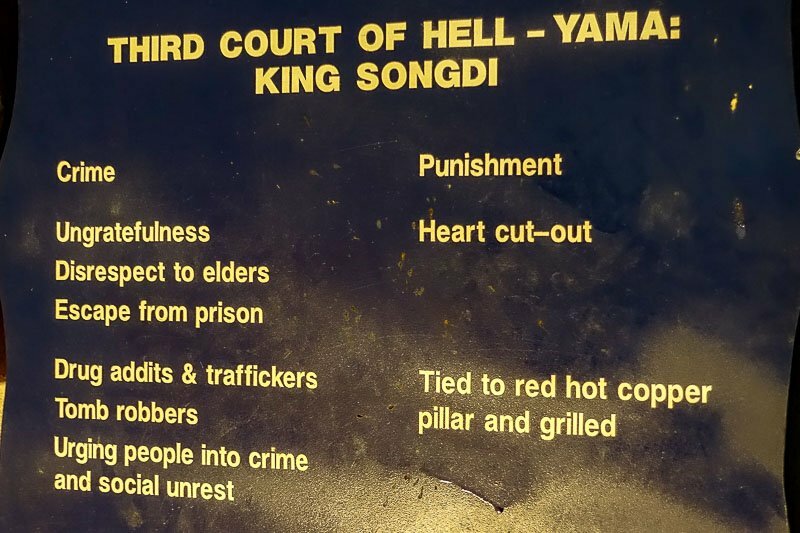 I don’t know what’s worse – being grilled or having your heart cut out! See! I knew abusing books was bad! Being sawn in half doesn’t look like fun! 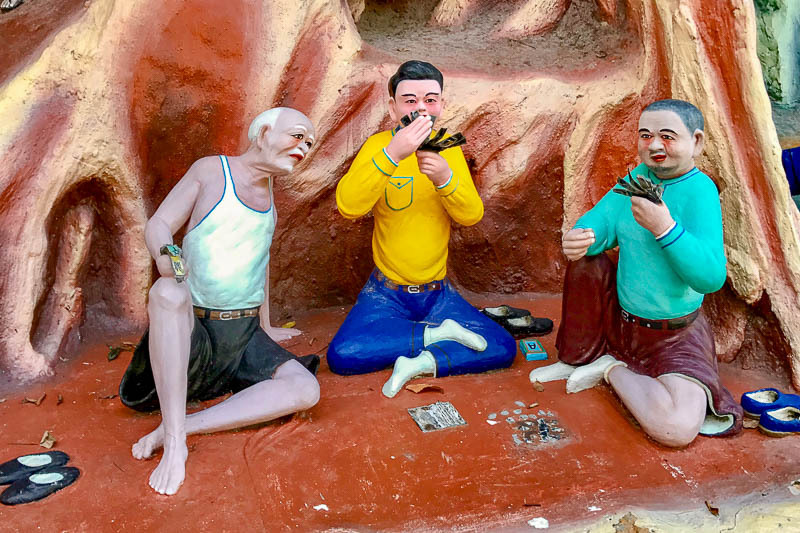 We particularly liked another section related to the Monkey God. 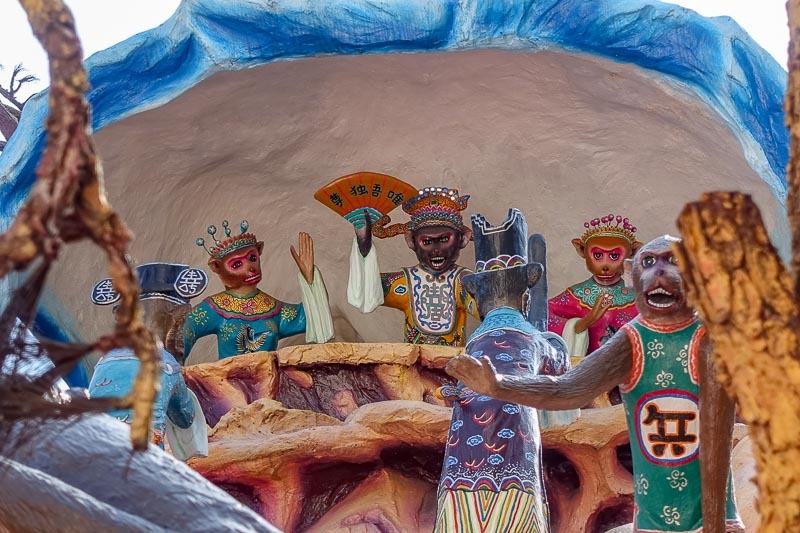 As children in the 80’s, we were avid watchers of the cult tv show “Monkey Magic” and until seeing the series of dioramas, I had no idea that it was an old Chinese story. I just assumed it had been made up for television. 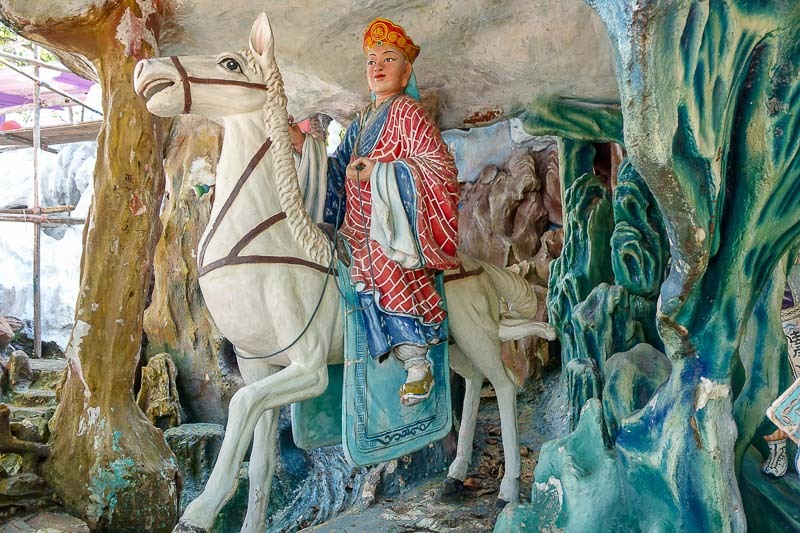 All the characters were here – Monkey, Pigsy, Sandy, Tripitaka, even the magic horse. The Monkey King, who the character from Monkey Magic is based on. Looks like Sandy is in trouble! 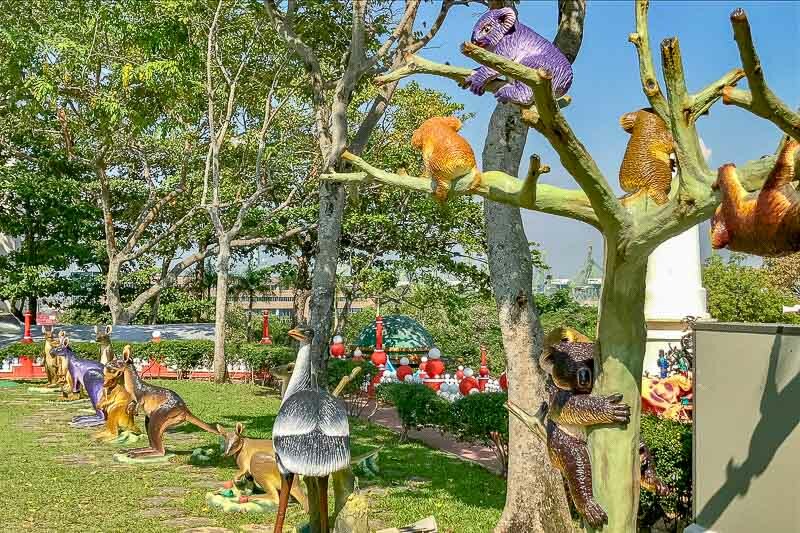 Between the many stories were statues of all sorts of animals. In fact, almost anything you can think of. It was really surprising to find koalas, kangaroos, and emus of various sizes and colours in one area. New Zealand got a nod too with the kiwi also appearing. We were very surprised to see these. 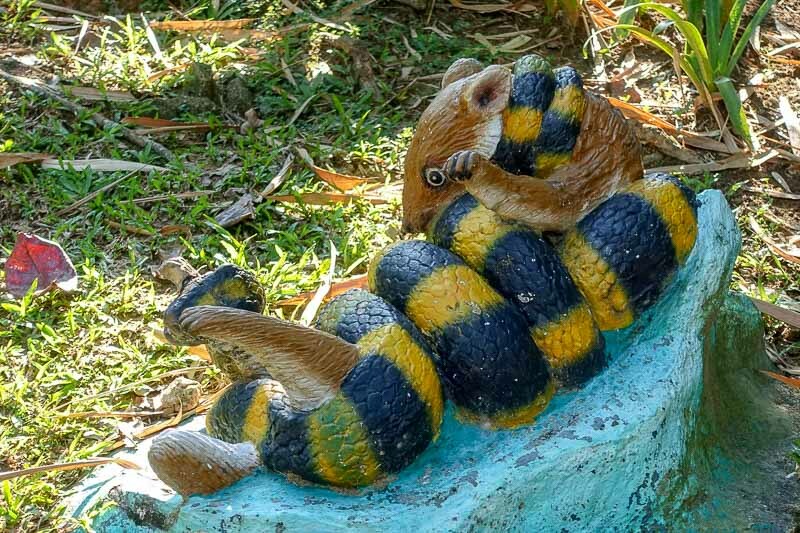 Snake strangling a rat. Not what I would normally expect to see. Seals? Otters? Not 100% sure. All up we spent about 90 minutes wandering around having a look at everything. This would be a good amount of time to allow, or perhaps a little longer as towards the end of our time it was getting quite hot in the sun so we were moving on quickly if there was no shade. Not too sure why the Statue of Liberty is here? 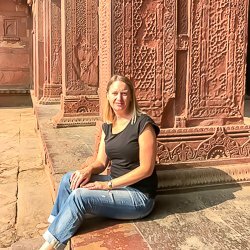 One warning – the main driveway was quite slippery as we walked back down to the main gates to leave. The driveway was wet, but it seems like perhaps some oil had been spilt. There was a lot of renovation work going on in the park, so hopefully that was the cause and once it is over it will not be as bad. 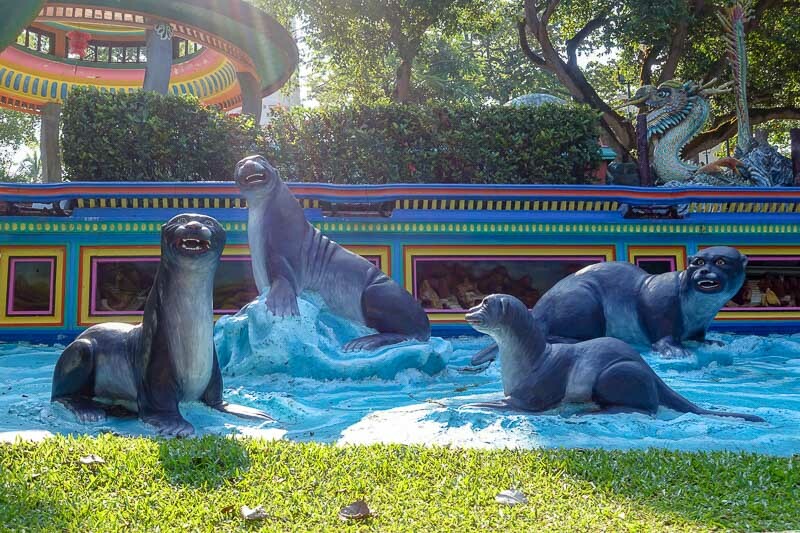 Overall, my experience at Haw Par Villa was a unique one. 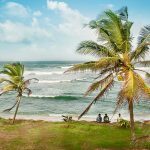 There is nothing like this place any where else. 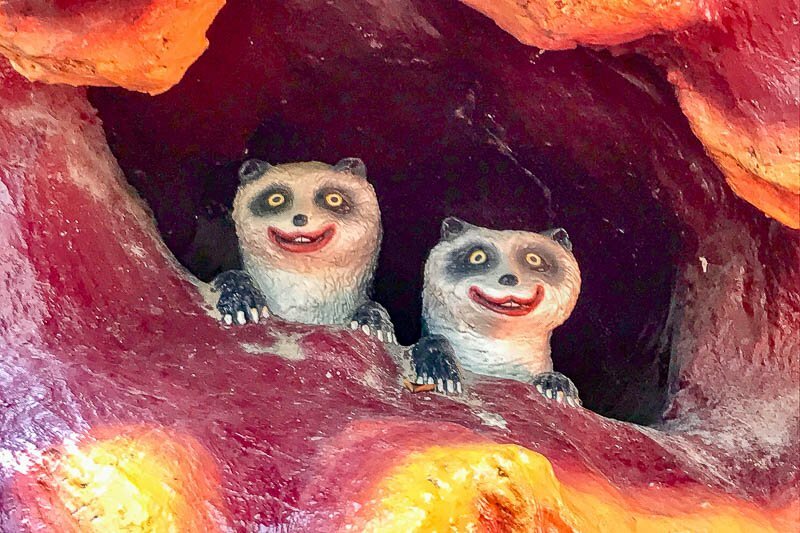 The figures are all a bit creepy looking, and the stories are a bit gory, but it’s a great sign of the times the park was build in. In my view, maybe we need to bring more of our kids here and show them these old-style, perhaps even macabre, messages of morality. 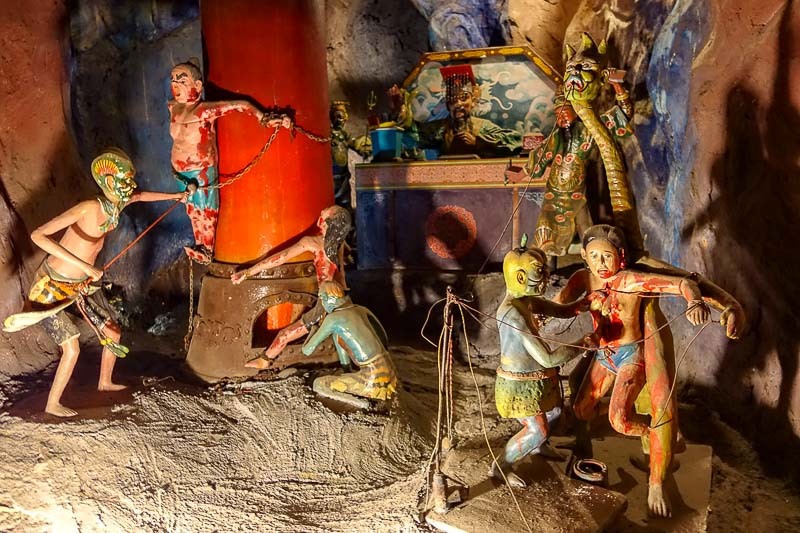 Coming soon to Haw Par Villa is the new Hell’s Museum, a museum focusing on the death in Asian cultures. A small section of the museum was opened in late 2017, and the whole museum was meant to be up and running in June 2018, but from what I can see online, as of early 2019 it has still not opened. 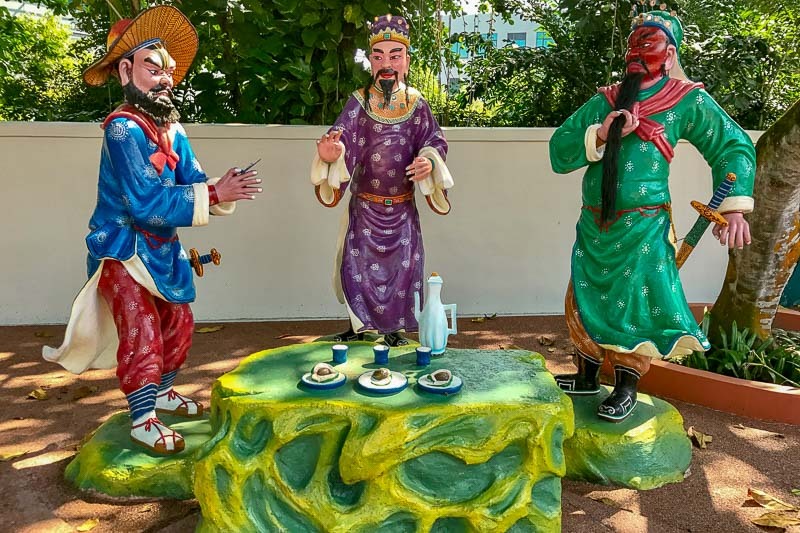 If you are interested in learning more about the Haw Par Villa gardens, statues and dioramas, there is now a 2-hour guided walking tour available on Friday evenings that will give an even creepier experience seeing all this in the dark. 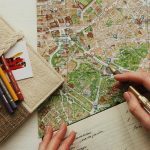 You will learn about the history of the park, and new developments going on, including getting a sneak peek of the upcoming Hell’s Museum. 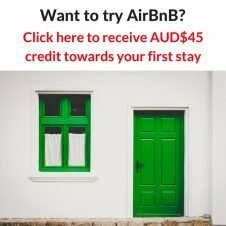 Click here for more information and to book your tickets. 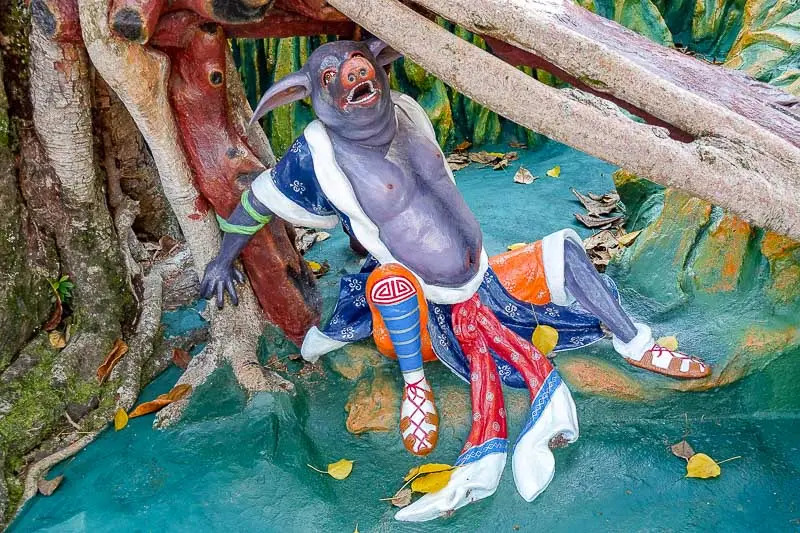 Haw Par Villa is at 262 Pasir Panjang Road, Singapore and getting there is easy. 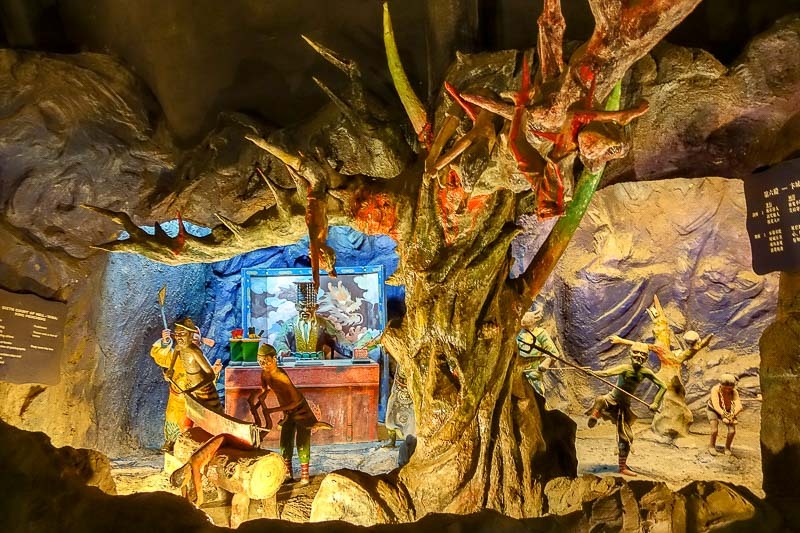 There is a Haw Par Villa MRT station on the Yellow Line. Follow the signs in the station, and it’s only a few metres from the exit. 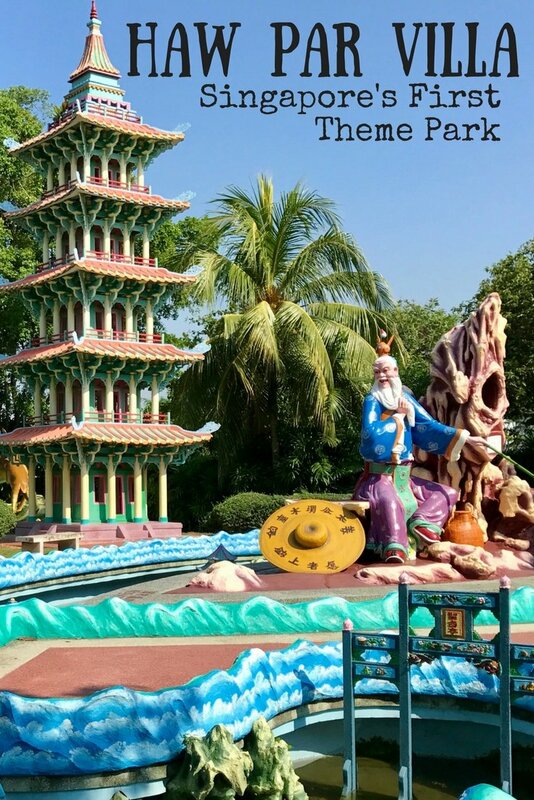 There is no Haw Par Villa admission fee and the opening hours are from 9am to 7pm daily. 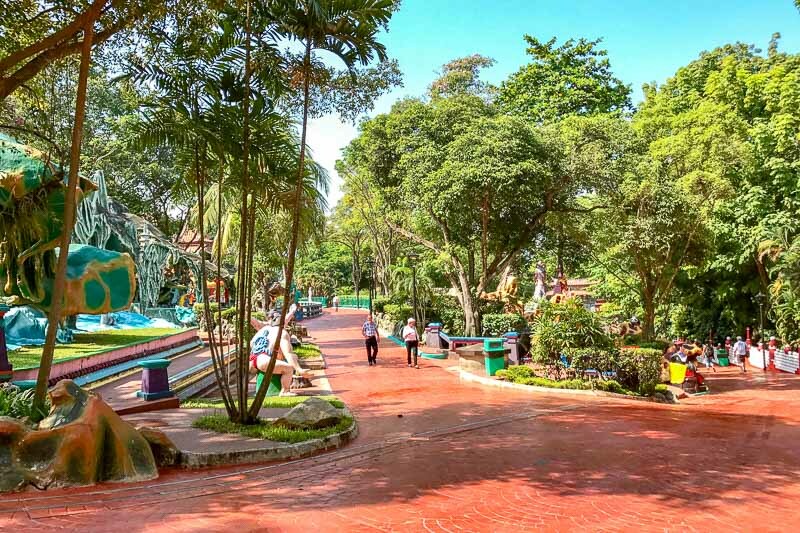 Won’t add this Park to my List. Think it would give me nightmares. Thanks Carol, it was a bit gory at times! 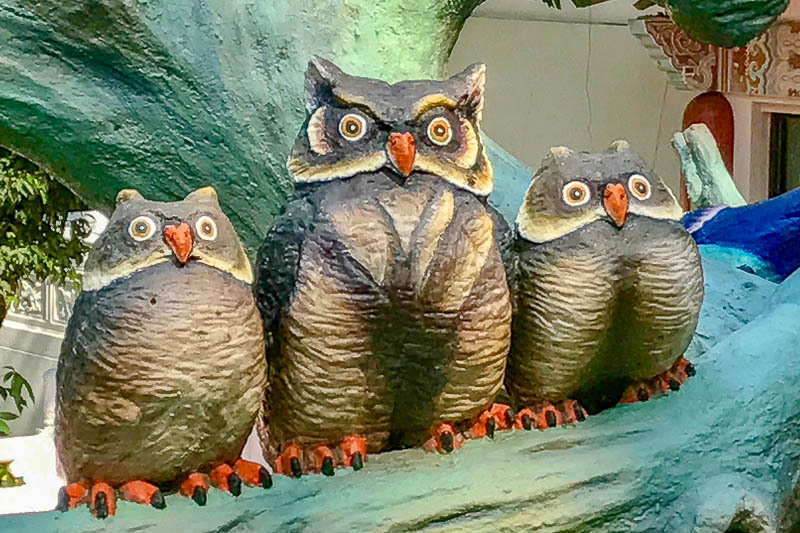 Even the creepy expressions on the faces of the animals were weird.